Freshfel Europe collects this information from different sources to the best of its knowledge. Freshfel Europe is in no way responsible for the content of the articles used. For any questions or further information, please contact Nicola Pisano or Nelli Hajdu at the Association’s Secretariat. Note from the editor: School’s in full swing! Spring has sprung and this year is already flying by! Springtime also means that the school year is in full swing with students of all ages hard at work. 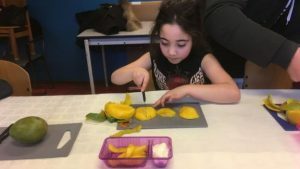 To complement the everyday curriculum, many students across Europe have been lucky enough to also learn more about fresh fruit and vegetables and the importance of consuming them as part of a healthy and balanced lifestyle. As you’ll read in this edition from March and April, students have been learning about fruit and vegetable production and sustainability as well as their part in nutrition and health. Needless to say, fresh fruit and vegetables are appearing not just in schools, but in museums, in song lyrics and even serving as temporary train tickets! How about that? It’s fantastic to see fresh produce coming to the forefront of everyday living and we expect just as much creativity and innovation in the next edition of the Fresh Times, which will be published at the end of June 2018. Italy: Get set, go! The F&V games! What’s more fun than learning about fruit and vegetables at school? Fruit and vegetable games at school of course! Throughout March, the second edition of ‘Fruit and Salad School Games’ took place in Italy at primary and secondary schools. The aim of this project was to raise awareness of the importance of a healthy lifestyle through the consumption of fruit and vegetables combined with physical activity. In preparation for the games a nutritionist was invited to speak to students and teachers alike about the many nutritional properties of fruits and vegetables and students were taught about the freshness and quality of local products by representatives from local Producer Organisations. Students were then quizzed on this information during the games. The competition at each school involved was accompanied by a promotional caravan for the games. The winning class in each school was then invited to play in the finals to win the title of ‘Fruit and Salad Schools Games’ 2018. France: Healthy meals for volunteers! Everyone knows that volunteers, especially the young are always hungry for healthy and nutritious food! In March, Rijk Zwaan France organised the 20th edition of their floral exposition at the Agrocampus Ouest in Angers, France. However, alongside the event, Rijk Zwaan also ran a communications campaign ‘Foodtruck Rijk Zwaan’ on the university campus targeting the many students and visitors to the exposition, who totalled more than 5,000 people. The food truck served soups and salads to raise awareness of the inclusion of fruits and vegetables into a healthy lifestyle. The food truck was also open to students who helped in the preparation of the event in the three days leading up to the event, supplying students with healthy, nutritious and delicious meals. Over these three initial days before the exposition started, more than 800 soups and salads were distributed to students. Roughly 400 students volunteered during this period, meaning that each student received two healthy meals to keep them going! Would you like to learn about agriculture? 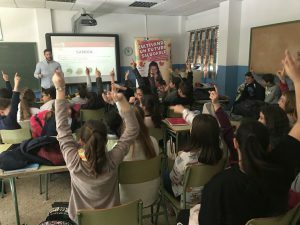 Nearly 1,000 Spanish schoolchildren in Andalusia have participated in La Unión’s second edition of ‘Discovering agriculture’ workshops, which promote healthy lifestyles among young people through playful and educational activities. In this edition, 5th and 6th year students from 20 different schools participated in ‘Learn by Playing’ activities, where they were taught about the main crops of the Almeria and Granada countryside, including fruits and vegetables. This included, information on integrated production, biological controls, pest identification, disease management and the importance of bees. The aim of the workshops is to raise awareness among children about the importance of following a healthy diet and to better understand how the fruit and vegetables they eat are grown. In the first edition of ‘Discovering agriculture’, 4,000 schoolchildren benefited from the programme through 50 workshops throughout the country. Is broccoli one of your favourite vegetables? +Brócoli, a non-profit Spanish association, has launched a new campaign promoting the nutritional and gastronomic qualities of broccoli to consumers, especially children. Currently Spanish consumers eat approximately 65,000 tonnes of broccoli a year! As part of their new campaign, one million heads of broccoli are set to be marketed with a special label in about 10,000 stores of 20 supermarket chains. The broccoli campaign has a specific focus on children due to the multiple benefits that broccoli has for their physical and intellectual development, such as being high in Vitamin C. The campaign is also part of a wider promotion by +Brócoli highlighting the need to eat at least five portions of fruits and vegetables per day to prevent the onset of chronic diseases. At the launch of the campaign, broccoli recipes were suggested, including adding it smoothies and salads, served steamed or in fajitas – the broccoli recipe options are endless! This year Amsterdam launched a city-wide healthy-weight programme targeting childhood obesity. Since the programme began, Amsterdam has seen a 12% drop in overweight and obese children. The programme teams up school students and their parents to a child health nurse, who assesses their health and offers them relevant dietary and physical activity advice, complemented by home visits by a volunteer if necessary, and all for free! Rather than just giving advice, child health nurses ask students why they think their weight is higher than it should be, which allows both students and parents to understand what changes they need to make to their lifestyle. 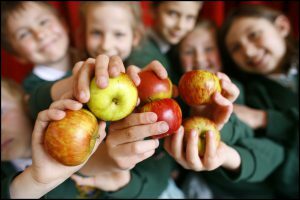 Students in the programme are often taken to the supermarket to look at healthier food choices, such as the availability and variety of fresh fruit and vegetables, and are also encouraged to begin after-school activities involving physical activity. The programme also extends to community centres where healthy cooking using fruits and vegetables is taught to parents by dieticians. It’s the age old story of coming home, seeing your empty fridge and cupboards, and heading to the supermarket on an empty stomach with your hungry children, only to buy many unhealthy snacks to satisfy all your family’s grumbling stomachs on the way home. We’ve all been there! One Manor Food supermarket in Switzerland however, came up with a fantastic idea to help families avoid this hunger-driven shopping issue. 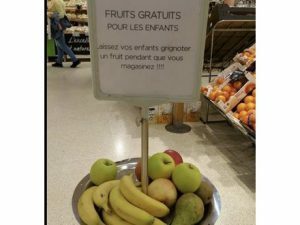 Ingeniously, Manor Food in Sion set up a small stand inside the entrance to the supermarket, with a sign stating “Free fruit for children, let you children nibble on a piece of fruit while you shop! Signed, Manor Food”. One man was so stunned by this simple promotion to children, that he snapped a picture of the stand, which then went viral throughout Switzerland. The initiative had only been a temporary stand in the one Manor Food in Sion, however Manor Food are now considering extending it to other stores. The UK: No card, use an Avocard! Have you heard of an Avocard before? Me neither. 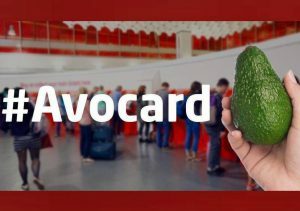 In March, UK travellers on Virgin Trains aged between 26 and 30 were able to have a third of their rail fares slashed if they presented an avocado at the ticket desk. Virgin trains release a ‘Millenial Railcard’ with a 33% discount off their train fares, however they only made 10,000 cards available to the five million citizens aged between 26 and 30. Due to high demand and to make up the shortfall, Virgin Trains decided that all eligible passengers could use an avocado instead. Avocado sales to millennials, peaked across the UK, however some passengers questioned the viability of the new scheme. Many passengers commented that considering the freshness and tastiness of the avocado that they had purchased for the ticket, it was unlikely that their delicious and nutritious avocado would even last their journey! Virgin Trains replied saying that the idea was light-hearted, innovative, but only temporary. Each year on the 18 April National Banana Day takes place. The aim of the celebratory day is to bolster the national drive to encourage healthier eating habits, especially among growing children. 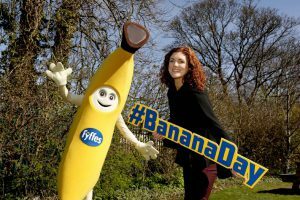 This year, Fyffes hosted National Banana Day and emphasised during the campaign that bananas are a fantastic convenience food or main meal accompaniment. Bananas can be incorporated into many dishes, and aren’t just a tasty and nutritious snack for school! During National Banana Day Fyffes set up their own pop-up kitchen where the public could sample an array of banana-infused dishes as inspiration for their own creations. Parents where additionally invited to create their own banana-inspired dishes and recipe suggestions. Winning creations would feature on the menu at the Fyffes Kitchen pop-up and would be posted on Fyffe’s social media pages. The goal of these initiatives as part of National Banana Day was to highlight what a fun, healthy and adaptable fruit bananas are for children and parents alike. Have you ever wondered how asparagus is grown? Or how many varieties of asparagus exist? Or what sort of other food products pair well with asparagus? All your questions are about to be answered by the establishment of a museum specifically dedicated to this very popular vegetable in Europe! The idea of creating a facility that aims to address the topic of asparagus was born at the Poznań University of Environmental and Life Sciences in Poland. The so-called ‘asparagus museum’ itself however will not be built in the capital of the region, but instead in Nowy Tomyśl, a city whose neighbourhood is famous for growing and selling asparagus. 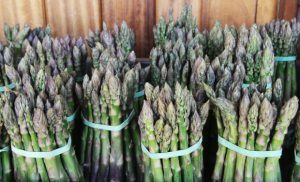 The museum will cover all asparagus-related topics, covering asparagus production and consumption from all angles! We hope that when the museum opens that there will be some asparagus tastings too! In Poland, it is estimated that about 6,000 tonnes of asparagus are produced each year, and each year this figure is growing to meet demand. Have you ever traipsed around an internationally-renown art gallery only to skip the still life section to save your feet from becoming even sorer? It’s true that people around the world ignore fruit and vegetables in still life, as much as they do in real life. 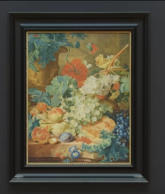 Philips teamed up with the Dutch Rijksmuseum in Amsterdam to demonstrate to the public that fruit and vegetables should not be ignored in both paintings and in real life. Philips wanted to highlight that fruit and vegetables are an important part of healthy lifestyles and that health problems can arise from ignoring them. Consequently, the Rijksmuseum removed all their paintings showing fruit from their public collection and replaced the same paintings without the fruit. The paintings boggled visitors as they no longer matched their descriptions or the audio guide explanations. The main message of the joint campaign was raise awareness of putting ‘fruit and vegetables back in the picture’. What are you waiting for? There’s a new video in town and it’s not the Pen-Pineapple-Apple-Pen (PPAP) video that was extremely popular two years ago and went viral on YouTube in the Netherlands. This year’s new fruit and vegetable hit is by Momopiko Chan Z and was released in mid-March. The group comprises of Pikotaro, a Japanese comedian who became popular after releasing PPAP in 2016 and Momoiro Clover Z, the most popular Japanese female group. In their new ‘Vegetables song’, written by Pikotaro himself, the group sing about different vegetables with catchy dance moves. The song is just two and half minutes long (and mostly about tomatoes and potatoes let’s admit), however it has the same catchy rhythm as PPAP. Many viewers are unsure whether the song is meant to target young children owing to its comical and silly nature and that Momoiro Clover Z are wearing outfits they wore for a children’s programme, or if the song is just meant to be light-hearted for all ages. We’ll let you decide!